White House Correspondents Weekend is right around the corner, and talk of “Did you get that invite?” has already begun. Well we have, and here’s what’s first on the agenda. 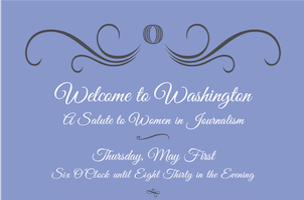 The inaugural “Welcome to Washington: A Salute to Women in Journalism” on Thursday, May 1 from 6 – 8:30 pm, co-hosted by Story Partner’s Gloria Dittus, NBC’s Betsy Fischer Martin, Washingtonian’s Cathy Merrell Williams, CNN’s Dana Bash, CBS News’ Jan Crawford, and The New Republic’s Julia Ioffe. 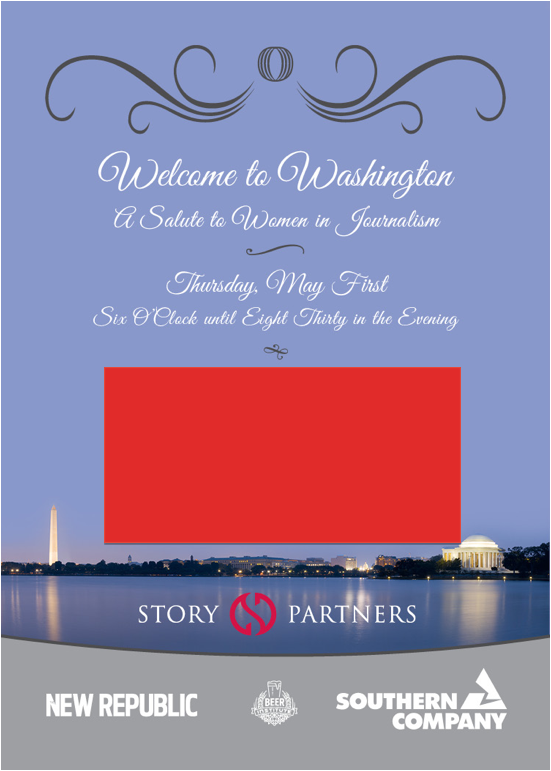 Sorry folks…location and RSVP dets omitted. More invites TK.